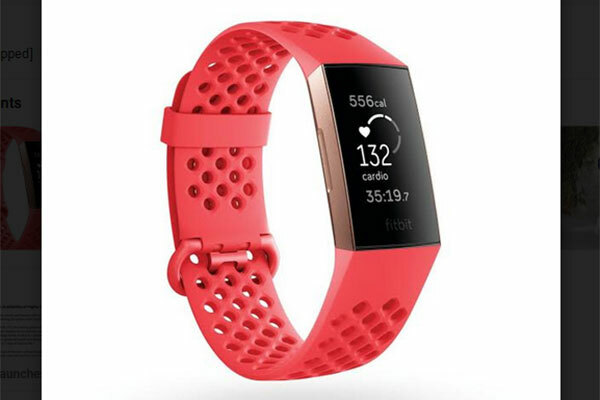 Fitbit, a leading global wearables brand, has launched Fitbit Charge 3, the latest evolution of the top-selling Charge family of devices, at major retailers across Bahrain. Priced at BD68.86 ($180.75), Charge 3, delivers a premium swimproof design with a large touchscreen display, the brand’s most advanced health and fitness features on a tracker, and is the smartest tracker yet – all powered by up to seven days of battery life. Charge 3 continues to build upon the success of the best-selling Charge franchise, with initial pre-order sales indicating strong adoption among both new and existing consumers. In fact, 54 percent of Fitbit.com pre-orders are from loyal and engaged customers who have owned two or more devices before ordering Charge 3. This initial consumer demand is supported by IDC estimates, which predict shipments of fitness trackers will continue to drive a significant portion of the overall wearables category for the next several years. Fitbit also announced that its Fitbit Labs Sleep Score beta program will be open for enrolment to qualifying Fitbit users starting in November. Fitbit users who are accepted into the beta will receive a nightly score that provides a more complete picture of their overall sleep and what factors affect it based on key metrics tracked by any Fitbit device with advanced 24/7 PurePulse heart rate tracking. For devices with a relative SpO2 sensor, including Fitbit Charge 3TM, Fitbit Ionic and Fitbit Versa, Fitbit will also be testing for breathing disruptions. In the future, with FDA approval, the data from this sensor technology could indicate more serious health conditions, like sleep apnea. In addition to the Fitbit Labs Sleep Score beta, Fitbit will continue to develop and work toward clinical validation of its software for use in detecting health conditions such as sleep apnea and a trial fibrillation. Fitbit is also one of nine companies in the FDA’s digital health software precertification pilot program, which is designed to streamline the approval process for software as a medical device while still ensuring patient safety and quality products.